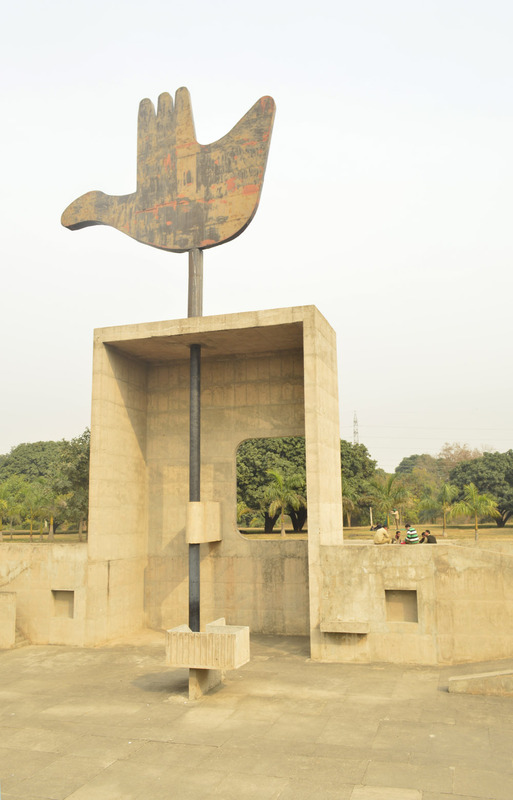 Chandigarh - "The City Beautiful"
This month, we journey through Le Corbusier’s famous Capitol complex in Chandigarh. Let’s not waste time with long-winded introductions… walk with me. 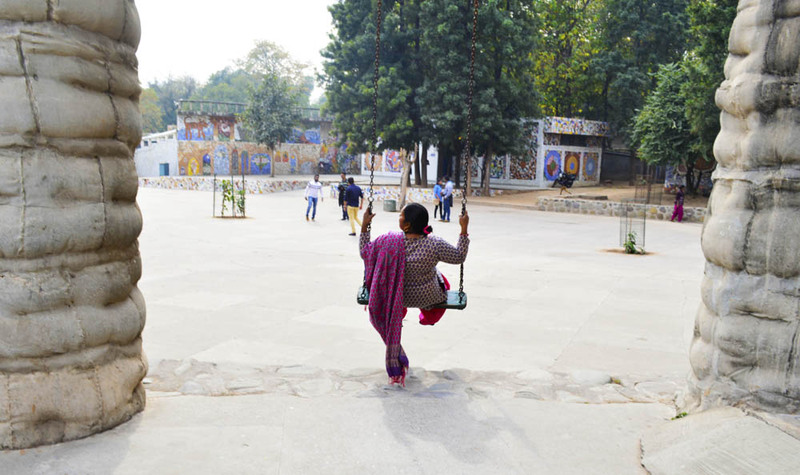 My initial introduction to Chandigarh was from a timber-seated swing amongst winding pillars. 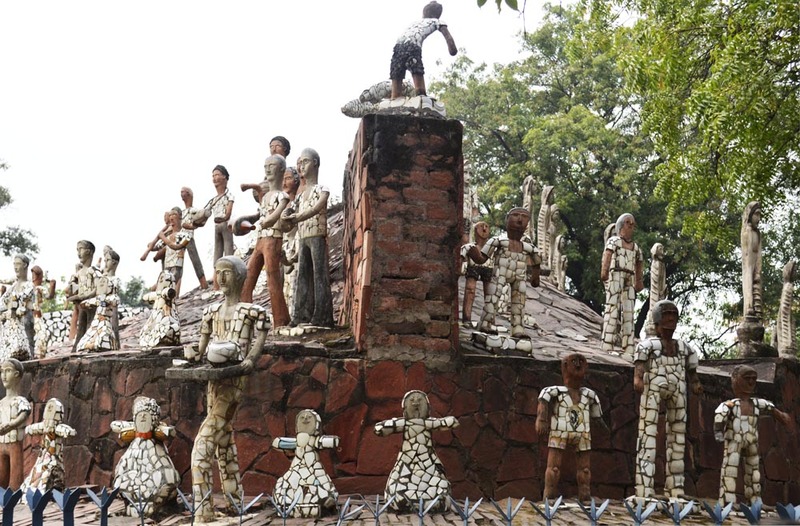 Nek Chand’s self-made rock garden, which he began in 1960, so reminded me of Gaudi’s Park Guell in Barcelona. Walkway snaking around the park. 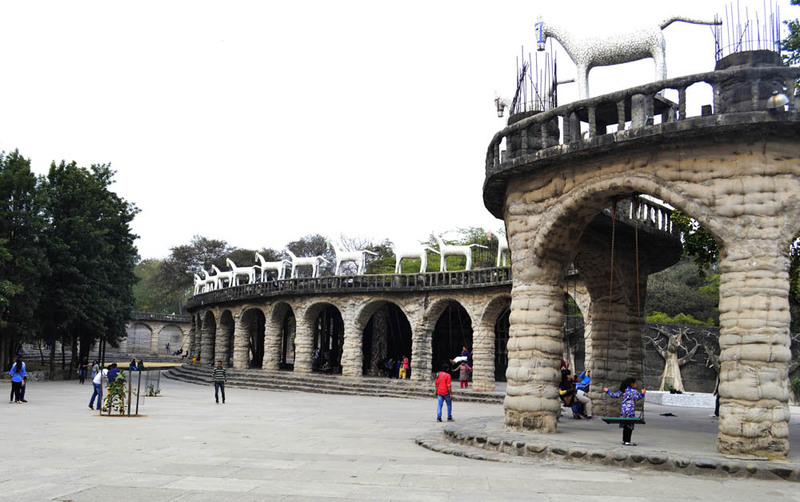 The intricate details and personal touches in the rock garden are very similar to what Gaudi did in his own park. 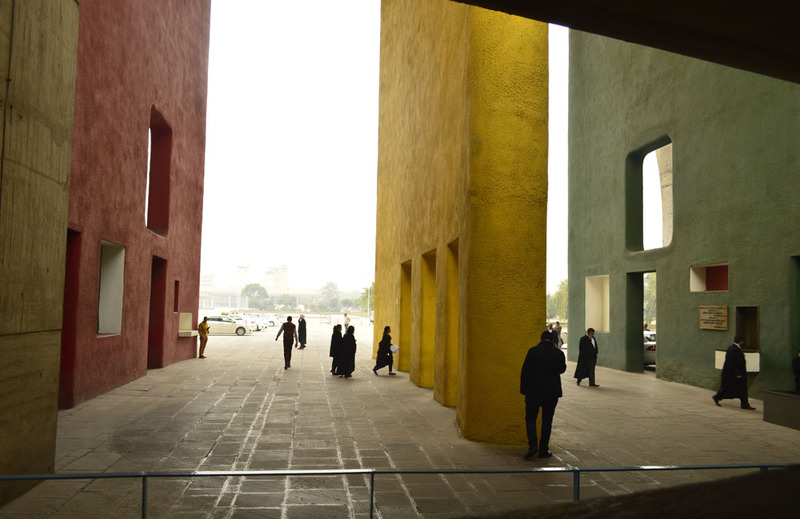 This park was not part of the original master plan conceived by Le Corbusier. Having been blown away by the Spanish master on a matric art tour, once again I was at a loss for words strolling along this creation, miles away from a similarly loved public space. 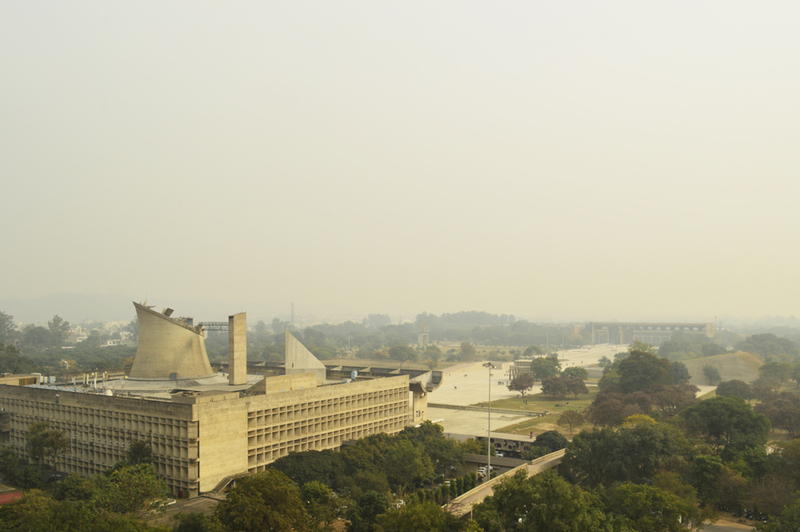 Although Le Corbusier had imagined the design of other cities, this Indian landmark was actually built with the help of Pierre Jeanneret, Maxwell Fry and Jane Drew. 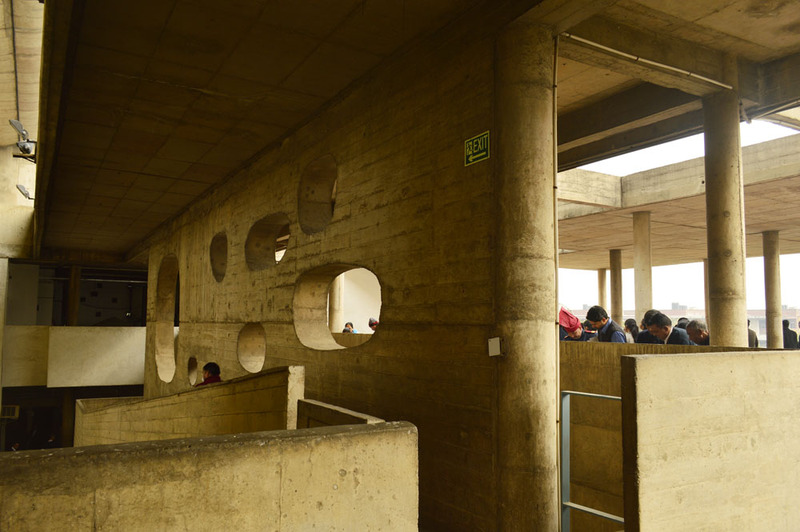 One of the reasons for my trip was to see a Le Corbusier city – in particular the Capital Complex. I so enjoyed the humour in this building; the grand but colourful pillared entrance before the playful ramps. 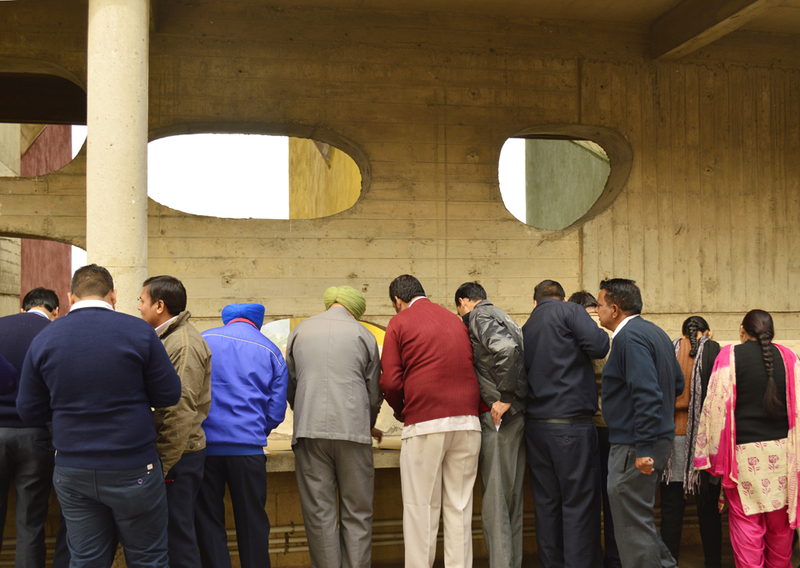 The users seem somewhat belittled by the building, emphasizing the role of what the court stands for. 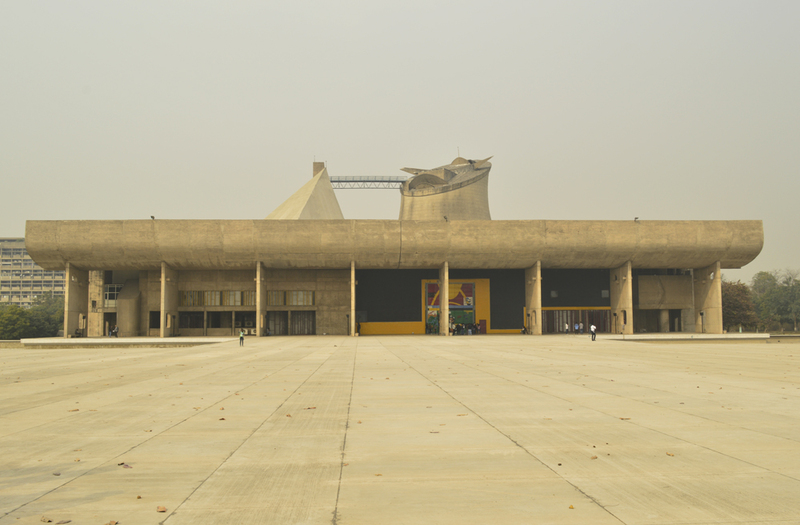 Openings pierce the construction, and although the building seems somewhat out of context in the grander Indian scape, Le Corbusier still frames the views to the immediate surroundings. Legal procedure at the High Court. 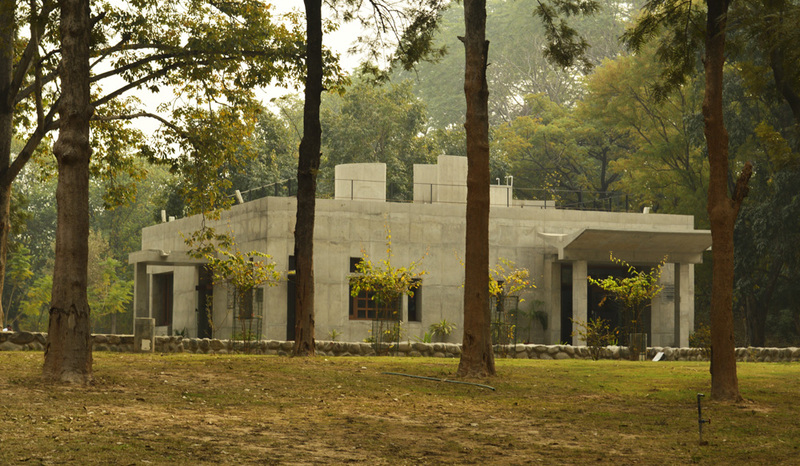 Le Corbusier designed this to depict that one cannot hold a weapon with an open hand. This is beautiful. Sculpture before The Assembly illustrating the exploration into light and shadows. A creative and personal touch resonates throughout Le Corbusiers designs. 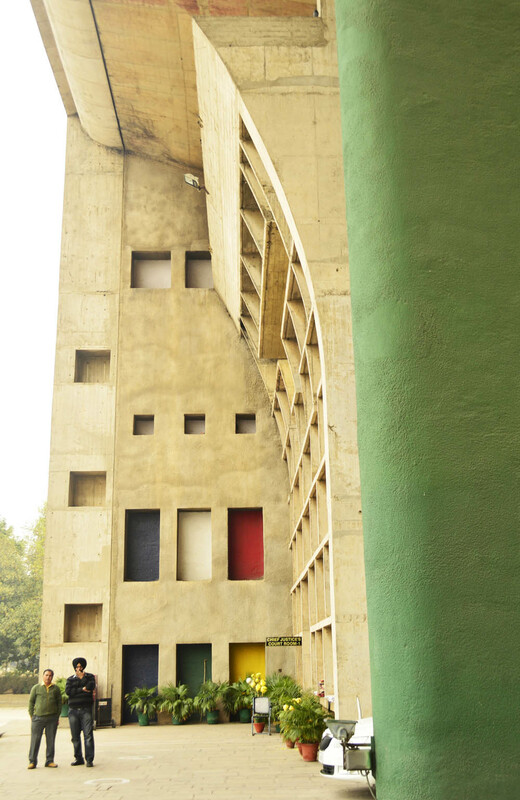 Le Corbusier made an effort to design beyond the architecture, creating art on elements such as his doors and acoustic wall panels. The sky in a concrete belly. 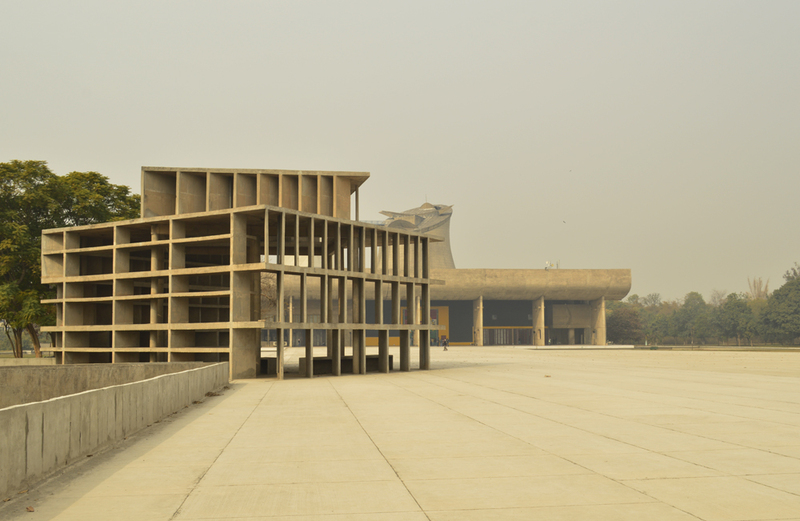 In Chandigarh, Le Corbusier’s legacy can be seen from many views. 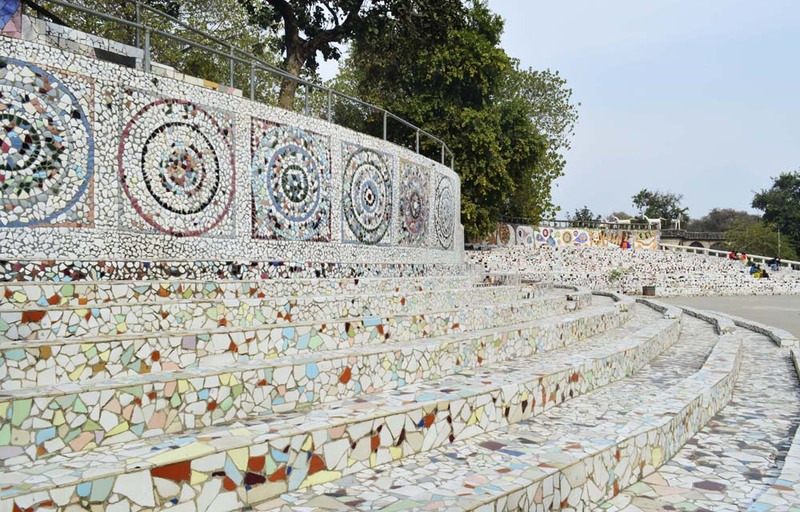 Similar to how Barcelona celebrates Gaudi, or Vienna celebrates Mozart, Chandigarh adores and prides itself in its developer Le Corbusier. I found that his planning didn’t reflect his client well – it often greyed a usually vibrant and colourful life. The buildings looked sore here, almost too scared to be touched. Still respected and celebrated, I couldn’t help but wonder if this sometimes cold city wouldn’t have felt warmer with a design slightly more local. Humans will always have their way of altering original designs – a good indication of what worked, and what didn’t.